Located on the 14th and 15th floor, Executive Level Rooms provide exclusive access to the Executive Lounge on the 15th floor, with key access only. 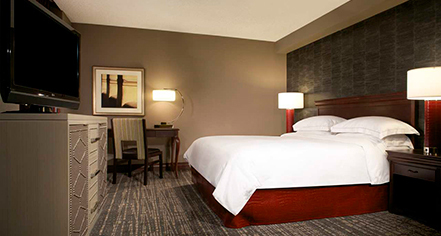 These comfortable rooms feature 42" HD televisions with cable, a desk with ergonomic chair, and an elegant bath with an upgraded shower head, luxury amenities, and a bathrobe. 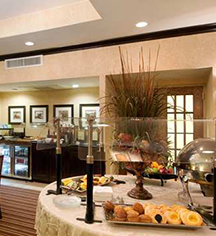 The Executive Lounge offers a complimentary executive breakfast buffet and non-alcoholic beverages 24/7. In the evening, guests staying in these rooms can enjoy drinks from the honor bar, and hot and cold hors d'oeuvres.